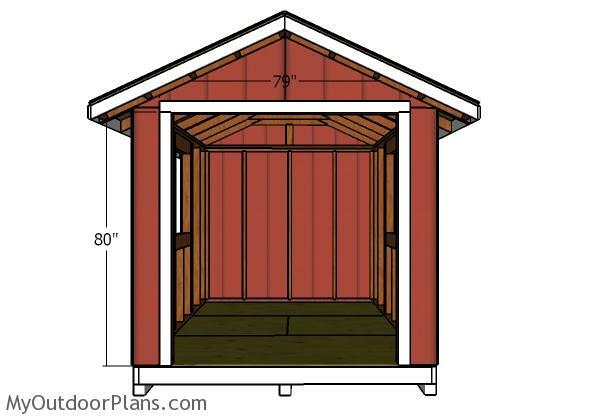 This step by step diy project is about 8×12 shed doors plans. 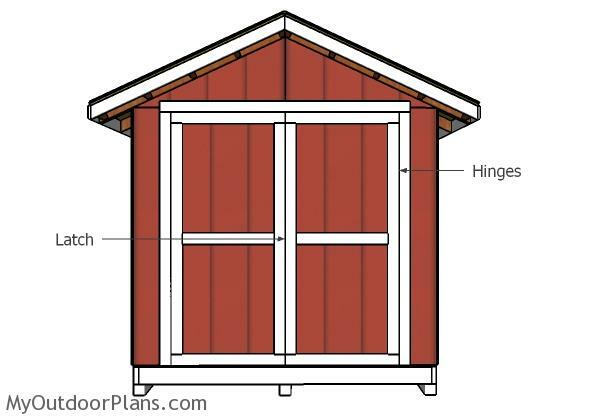 This is PART 3 of the gable shed project, where I show you how to build the single and the double doors for the shed. Make sure you read the local codes so you can comply with the legal requirements. Take a look over the rest of my woodworking plans, if you want to get more building inspiration. Fit the 2×4 jambs around the large door opening. Align the edges flush, drill holes and insert 2 1/2″ screws. Fit the 1×4 trims around the windows. Align the edges with attention and then lock them into place with 2″ brad nails. 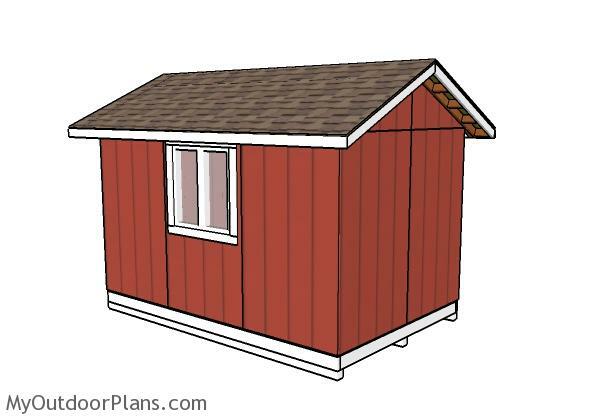 This 8×12 shed is an amazing addition to your backyard. You will create a lot of extra storage space and you will declutter your home from items you don’t need or not use. 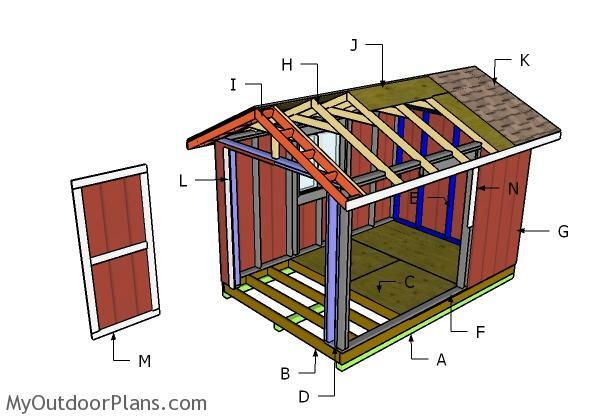 Check out PART 1 and PART 2 of the shed, so you can learn everything you need to know about building the floor, walls and roof for the shed. For the front,we already had one foot on each side, leaving 6 feet for both doors, total 8 feet. 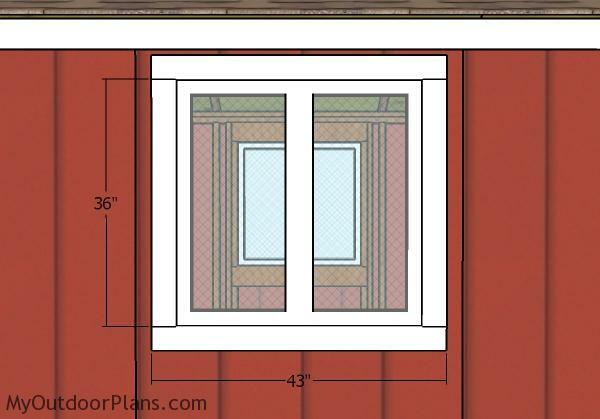 Addition of the JAMBS would occupy another 3 inches, making a total of 8 feet + 3 inches. If I am not mistaken. I would have to make each door at least 36 1/4, to fit the opening. Otherwise the details were great and easy to follow. What jambs? 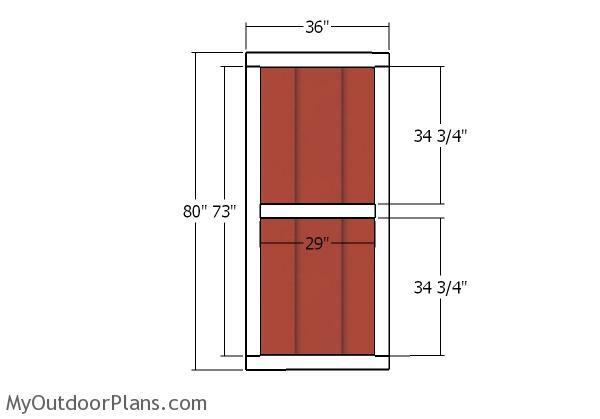 Do you want to install pre hung doors?